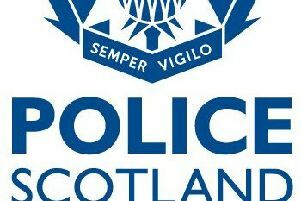 Police in the Borders are appealing for information following a number of thefts from vans in the Galashiels area. Three Ford Transit vans parked on Bristol Terrace, Balnakiel Terrace and Paterson Street, and a Ford Tipper parked within Easter Langlee Industrial Estate, were broken into between the evening of Tuesday 29 March and early hours of Wednesday 30 March. It’s estimated that over £6000 worth of tools were stolen. These include a Dolmar petrol cut off saw, a black and blue Makita hammer drill and impact driver in a blue case, and a yellow JCB Jigsaw in a black case. Officers are looking to speak to two men seen in a small silver car, believed to be a Ford Ka, in the area in the early hours of Wednesday morning. The first is described as approximately 6ft tall, slim to medium build, wearing a black waist-length small collar coat. The second is described as approximately 5ft 10inches tall, with a large build, wearing a white or light grey hooded top. PC Andy Loughlin of the Community Investigation Unit said: “Anyone who may have information about these thefts or the whereabouts of the stolen tools is urged to contact us. “We’d also ask anyone who may have seen the car described, or who may have captured it on private CCTV, to get in touch. “Operation Saddleworth continues to utilise local and specialist resources across the Lothians and Scottish Borders to identify and target those committing these types of thefts. “Although no one has the right to steal your property, there are a few steps you can take to reduce your risk of being targeted by opportunist thieves. Anyone with information about these thefts is urged to contact Police Scotland on 101 or contact Crimestoppers anonymously on 0800 555 111.